Walt Disney began a theme park revolution at Disneyland in a sleepy Anaheim orange grove and forever changed our notions of entertainment and vacations. That sleepy orange grove is now a destination resort with two parks, hotels, and more. While Disneyland remains the nexus of California's theme parks, there are other noteworthy parks, including Universal Studios Hollywood, Legoland California, SeaWorld San Diego, and Six Flags Magic Mountain. One of the state's (and the country's) few remaining seaside amusement parks is based in San Diego. Home to the historic Giant Dipper wooden coaster, which dates back to 1925. In addition to the rides, the park offers other attractions such as mini-golf, laser tag, and escape room adventures. This Santa Clara amusement park includes headlining roller coasters such as Patriot, the wooden Gold Striker, and the inverted Flight Deck. The huge water park, Boomerang Bay, is included with admission. Special events include Halloween Haunt and the holiday-themed WinterFest. In Anaheim, Disneyland Resort encompasses two theme parks (the original Disneyland and Disney California Adventure), three hotels, and the Downtown Disney dining, shopping, and entertainment center. Also in Anaheim, Walt Disney's original theme park set the standard for the industry and remains a magical, evolving place today. Its collection of beloved, classic rides along with more recent E-ticket attractions make it a must-visit park. The sister park to Disneyland, also based in Anaheim, Disney California Adventure achieved its own identity after a $1.1 billion expansion that included the addition of Cars Land and the magnificent Radiator Springs Racers attraction. The park includes the retro Paradise Pier, which features the California Screamin' coaster and Toy Story Midway Mania, and Hollywood Land, with Guardians of the Galaxy Mission Breakout attraction. In Buena Park, the classic park (which claims to be the country's first theme park) features Ghost Town with the wonderful, restored Calico Mine Ride and Timber Mountain Log Ride, as well as wild coasters, such as Xcelerator and Silver Bullet. The adjacent Soak City water park is not included with admission. In Carlsbad, geared to the under 12 crowds, Legoland California is themed to the bright plastic building bricks. Highlights include Miniland, with scale models of U.S. landmarks fashioned out of Lego blocks, the interactive 3D Lego Ninjago dark ride, The Lego Movie 4D (a mini sequel of sorts to the wildly popular film), and coasters and other rides based on the toy brand. There is also a water park and an aquarium, both of which require separate admission, and onsite hotels. In San Diego, the original SeaWorld park (there are others in Orlando and San Antonio), the focus has changed through the years. Once the home of Shamu and his theatrical stadium shows, the park has been transitioning into more of an educational focus. It has been adding more attractions and thrill rides, as well. In Vallejo, the hybrid zoo/oceanarium/amusement park is unique among Six Flags parks. In addition to the animals, Discovery Kingdom offers wild coasters and thrill rides, including Kong, Medusa, Sky Screamer, and The Joker. In Valencia, one of Six Flags' flagship locations, and the only one open year round, Magic Mountain holds the distinction of having the most roller coasters of any park in the world. Among its standout coasters are X2, the wooden-steel hybrid, Twisted Colossus (which gets a rare 5-star review), and the 100 mph Superman: The Escape. The adjacent Hurricane Harbor water park is not included with admission. 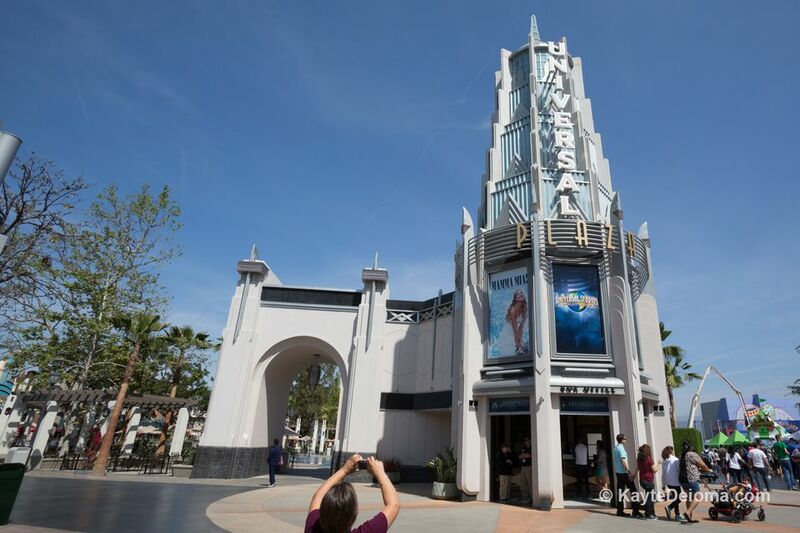 Near Los Angeles, in Universal City, the movie-themed park is located at an actual working studio, with tours available. The addition of the Wizarding World of Harry Potter in 2016 capped an aggressive expansion plan that also included Transformers: The Ride 3D, The Simpsons Springfield land, and a Fast & Furious attraction.